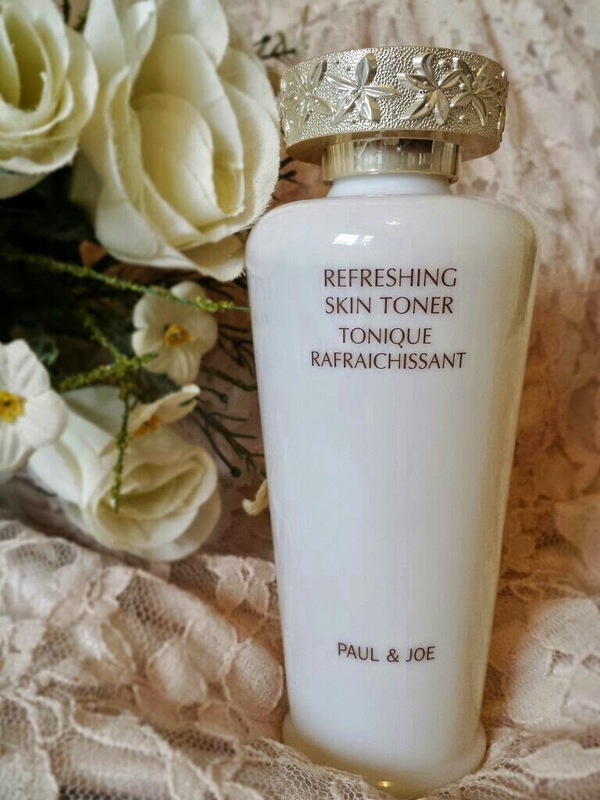 The Refreshing Skin Toner by Paul & Joe is a toner that provides gentle exfoliation to remove dead skin cells and moisture to leave the skin smooth and bright. It also tones the skin to minimise the appearance of pores and has aromatic benefits. It contains kiwi extract that acts as a moisturiser and lemon and tea extracts that act as astringents. 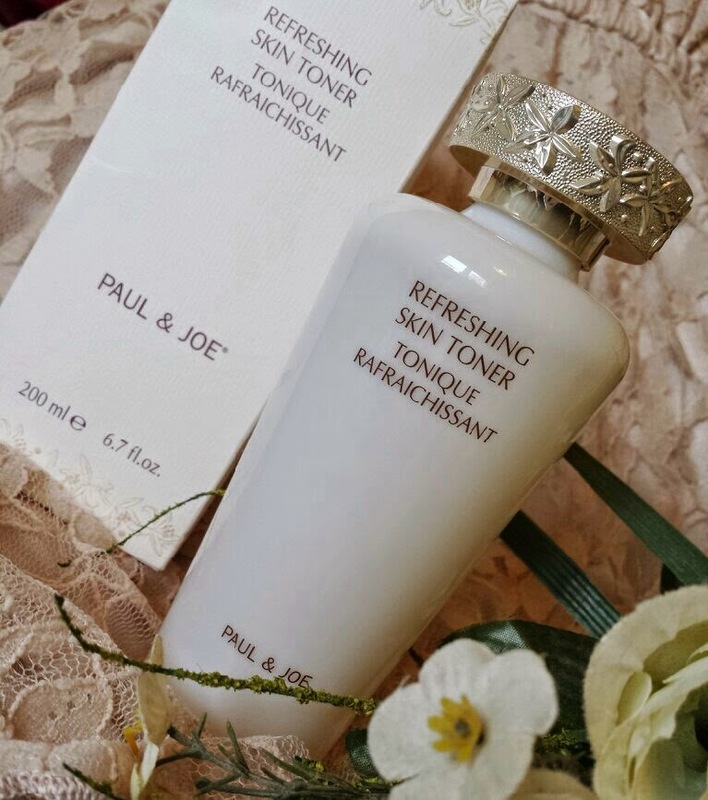 It comes packaged in a beautiful creamy white bottle that holds 200ml of toner and it also has an antique-style lid. It has a tiny hole on the top of the bottle for the toner to come out of. 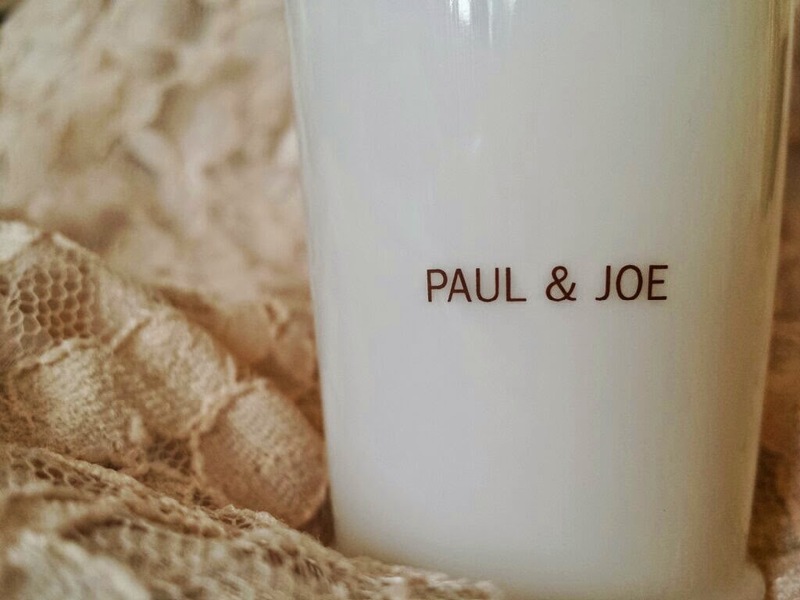 The whole Paul & Joe skincare and beauty range follows along with this packaging theme and even on its own it honestly looks amazing on anybodies dresser, but the most important part is obviously how well the product inside works. Along with this, I’ve seen some product reviews on pages that either sell the toner (like the same BeautyBay page) or are reviewing it explaining how this toner has really helped to clear up blemish-prone skin. Despite this, there is actually a little statement inside the booklet that comes inside the box stating not to use this toner on areas with blemishes. There wasn’t an explanation as to why, but I have tried it on days where my skin has been clear and when I had a small break out for comparison purposes. It worked the same for me regardless and there were no irritating reactions to it either. So for this one, I’m going to suggest that it is left up to you whether you heed the warning or not! 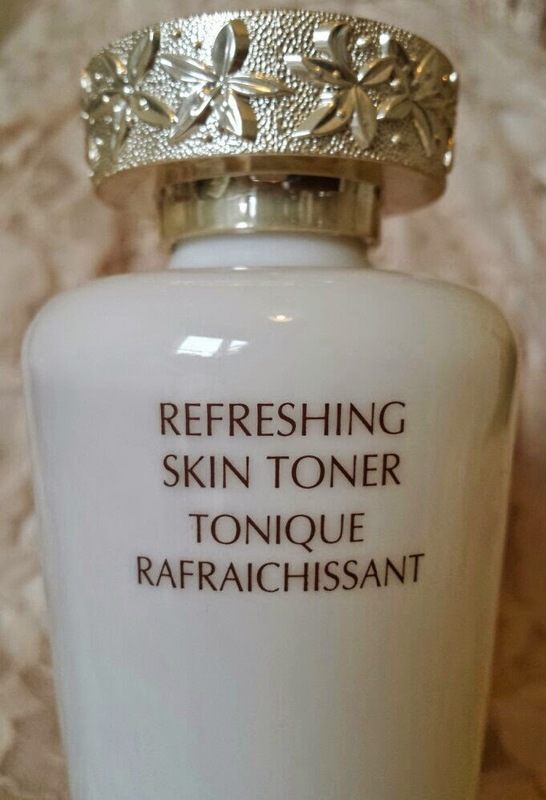 The toner is clear and has a lovely, soothing smell to it. You don’t need to use too much either to cover your whole face. To use it you need to apply to a cotton pad and smooth over the face after washing it but before moisturising. I find this toner to be really gentle to the skin. It really does help to leave the skin soft and bright, but it does take a while to absorb into the skin. When you apply it, it leaves a slight greasy/oily sheen behind on the skin. If you have oily skin or combination skin, that may be a bit of a worry for you at this point. However, it does eventually sink in. How long that takes can depend on how much you decide to use. Therefore, if you use the minimum amount that you need then it shouldn’t take long or be a concern. Alternatively, if it is more of a worry, it could be used as a night time toner and you could use a toner that has a mattifying effect during the day. After it absorbs, it does leave the skin feeling moisturised, but I still recommend following it up with your regular moisturiser. I don't find that it dries out the skin either, so if you are worried about the issues on the opposite end of the spectrum then you shouldn't be disappointed. It is difficult for me to say that for definite though as like I said, my skin is really oily! Due to it exfoliating the skin during application, your face is left bright and radiant but without looking extra oily or shiny. It also helps with post blemish marks and with the time it takes for them to fade. Overall, I think that this toner would be best suited to somebody who has normal skin. However, I really like how it makes my skin feel and I have really oily skin. I haven't found it to be a cure for any blemishes, but as I explained before it does help with post-blemish marks. It is lightweight and gentle enough for sensitive skin too, so really to me it's one of those great all-rounder products that works well for everybody! It really isn't just a pretty bottle! If you want to purchase a bottle you can buy it for £19 for 200ml from Beauty Bay, Asos, Selfridges or Harrods amongst other stores. 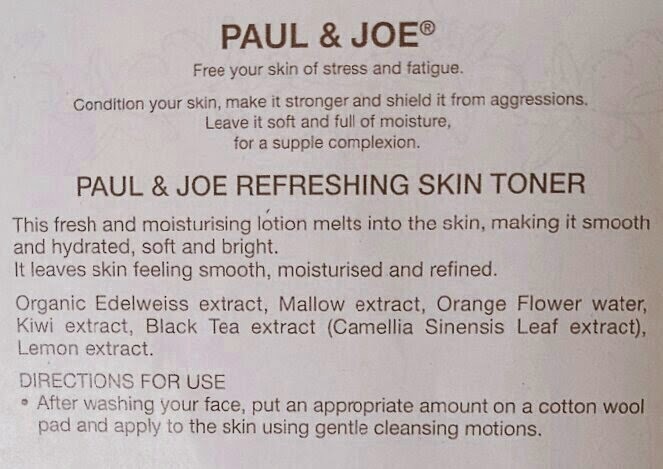 Have you tried any Paul & Joe Skincare? What is your favourite toner?